Louw Barnardt may today run a successful firm offering startups and companies outsourced accounting and financial management, but there was a time — just 18 months into starting the firm with two former university friends — that he almost had to close the business’s doors. 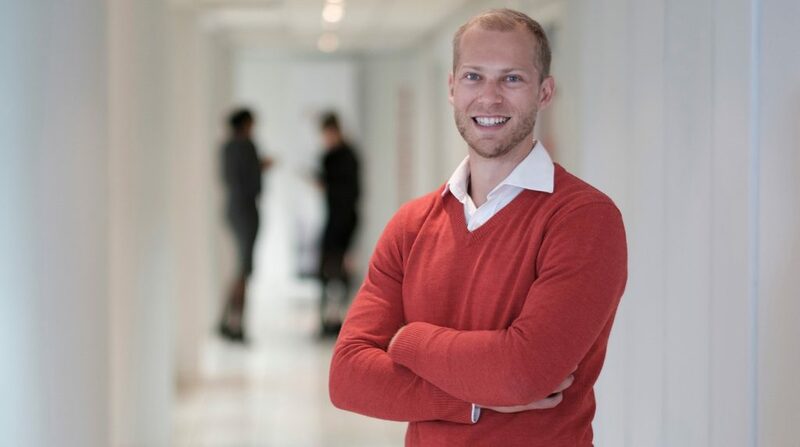 Barnardt (pictured above), a former chartered accountant (CA) turned entrepreneur, is the winner of the R70 000 Emerging Business Entrepreneur of the Year award in the 2018 Sanlam / Business Partners Entrepreneur of the Year awards held in September. Today he runs Cape Town based Outsourced CFO which provides about 80 local and international companies (80% of them tech or innovative firms) with financial management and accounting services. The company has 26 employees and a 400 square-metre office space near the Cape Town city centre. Back in 2013 he teamed with two other chartered accountants Dana Pretorius and Jacques Le Grange to start Outsourced CFO. After the three completed their articles, rather than go info comfy jobs at a local accountancy practice, they opted to form Outsourced CFO — having spotted an opportunity to provide startups and local tech companies with help with book-keeping services and financial management. “We thought now if you take a job and go work now for a CA salary that is two to three times your articles salary, you are going to get used to it. You are going to buy a house, a car, you’re going to adapt your lifestyle accordingly if you earn three times more. “We said, ‘we’re used to this articles salary, which is like a stipend, why don’t we try and survive another few years on this and build our own business’,” he recalls. While the three didn’t have a lot of finance to draw on, they were able to borrow from their bank off a bond that Barnardt took out on small flat he had in the suburb of Belville, Cape Town. The bank allowed them to borrow up to half of the value of the property — meaning they could get credit of up to R400 000. The facility was flexible, allowing them to draw from and put money back in whenever they wanted. But about 18 months in, Barnardt and his two partners had burnt through all the money — to cover overheards like salaries and marketing expenses. The three were now living on very little. It all came to a head when Barnardt arrived back from his honeymoon. Things at the business were “dead quiet”. It was April and the public holidays were not helping either. “Dana and I looked at each other and said ‘look if it’s not going better next month, we’re going to have to make another plan, we’re going to have to cut our losses and think about whether we should look at a job of some sorts or just cut it,” he recalls. Then their lucky break came when the company landed a significant contract with Microsoft to offer startups on its Bizspark programme mentoring services, and he and his business partners have not looked back since. Commenting on winning the Emerging Business Entrepreneur of the Year award in the 2018 Sanlam / Business Partners Entrepreneur of the Year awards, Barnardt says the award came as a surprise to him. “The competition was so strong — the other couple of guys who were there in our categories — so I didn’t expect to take it,” he said. He believes what impressed the judges is the way Outsourced CFO has helped reinvent an existing sector like accounting. “I think what they loved is that we’re entrepreneurs that focus on enabling entrepreneurs and that we’re doing something in finance and accounting that hasn’t been done before,” he says. Outsourced CFO has come a long way since that time in 2015 when the three almost threw in the towel. 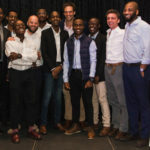 Since then the company has helped clients tap about R500-million in seed and growth funding and is working in on even bigger deals at present. Says Barnardt: “We’re working on half-a-billion rand exit at the moment which I can’t disclose right now, but which will definitely hit the press in early 2019”. Not bad for three guys who almost gave up.